I believe in love. 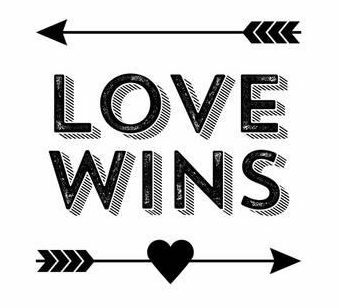 I believe in the end that love wins. No matter what may or may not happen to us in this life, love has the final word and love is the final and eternal Word. I have committed my adult life and career to this truth. As a human, I forget that love has the final say in all things. I am grateful for the illuminated reminders that God provides in times of darkness. The stories shared of President George H.W. Bush shared by his friends and family at his funeral and on the news reminded me that in the end love wins . I was also reminded how that love should be shared as we live our lives. President Bush and his family are people of faith. His pastor was present with the president in his final moments on earth. The same was true when his wife Barbara died. Their faith in Christ informed their living and their dying. I am strengthened knowing that. President Bush loved his wife deeply. When asked (hypothetically) if he could come back and be anyone in a new life, who would he be? He answered, “Barbara’s second husband.” He loved her so much and wouldn’t want to live a second time without his best friend and wife. I am strengthened knowing that. I am strengthened knowing that. 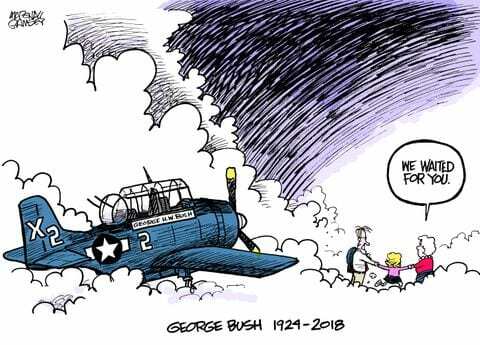 President Bush loved his family too and they knew it. His son President George W. Bush called his father near the end and told his father that he loved him and he was the best father. I am strengthened knowing that. President George H.W. Bush was once the most powerful man in the world. Yet, when he entered into the presence of Christ President Bush willingly and joyfully cast his symbolic golden crown in front of King of Kings and the Lord of Lords. You see, President Bush was a child of God and is now home. Historians and political pundits will debate his political career and his stand on various issues. That is not what I experienced this week. I saw person of faith who lived that out to the best of his ability. I also know that in the places President George H.W. Bush failed to live into love… Christ forgave Him. I am strengthened knowing that. May we be people who always love deeply and live with integrity. What an honor and gift it is to be related through Christ to those worshiping at the National Cathedral in prayer, scripture, and glorious music. We gather together at Bethel to share this abundant love with each other and in the world. Our newsletter portrays the many opportunities to share in the eloquence of love as expressed in word and deed. Agreed Marion!!! Thanks for posting!